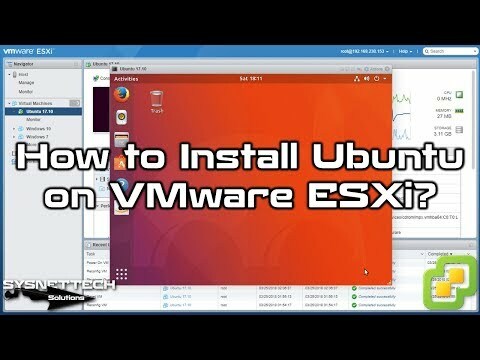 This video shows you the steps to install Ubuntu 18.10 / 18.04 / 17.10 on vSphere 6.7U2 on the VMware Workstation Pro virtualization program. Step 1: If you have not done vSphere installation before, please refer to the following videos. Step 2: Create a new virtual machine for Ubuntu installation on vSphere. Step 3: Add the ISO file to the VM you created. Step 4: Click the Power on button to run the Ubuntu machine. Step 5: After setting up Linux system on your server, perform the rest of the operation by watching the video. Step 6: After setting up Linux on vSphere, don’t forget to install VMware Tools to make the virtual machine more efficient!